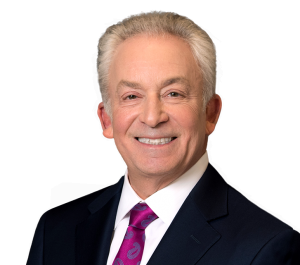 Philadelphia personal injury law firm Feldman Shepherd Wohlgelernter Tanner Weinstock Dodig LLP is pleased to announce that Co-Managing Partner Alan M. Feldman has been inducted as a Fellow into the International Academy of Trial Lawyers. Chartered in 1954, IATL is dedicated to the administration of justice and promoting the rule of law around the world. Membership is by invitation-only and limited to 500 U.S. Fellows and Fellows from more than 30 other countries. Prospective Fellows are examined rigorously for their legal skills, character, integrity and trial record. Attorneys who are invited to be Fellows are recognized for their demonstrated skill and ability in jury trials, trials before the court and appellate practice over many years. The most distinguished members of the trial bar are identified by a robust peer and judicial review based on character, integrity, professionalism and the highest standards of the civil justice system. The Academy’s mission is to strengthen the science of jurisprudence, facilitate reforms in the law, encourage the administration of justice, and elevate the level of integrity, honor and courtesy in the legal profession. Feldman has served the interests of plaintiffs for more than 30 years, winning substantial verdicts and settlements in personal injury and class action matters. Recent successes include a $26.1 million settlement for a fatal injury and a traumatic brain injury to occupants of a car struck by a tractor-trailer, a $7.9 million settlement for a man whose arms were crushed by a cardboard baler while working at a grocery store, a $4.5 million verdict for a warehouse worker injured when a brake failed on a pallet truck, an $18 million settlement for death and injuries caused by a defective portable heater, a $10 million settlement when an airbag failed to deploy, a verdict of more than $4 million when an infant died in a trucking accident and $6 million and $5.6 million verdicts against an auto maker in separate class action suits. “Alan Feldman is an ideal representative of the IATL: he has a tremendous work ethic, character beyond reproach and an exceptional trial record,” said Feldman Shepherd Partner and 2011 IATL President Roberta D. Pichini. Including Co-Managing Partner Mark W. Tanner, the Feldman Shepherd law firm is one of the few with three IATL Fellows among its roster of attorneys. Feldman has been named among the 2013 Best Lawyers in America® for his work in “Mass Tort Litigation / Class Actions — Plaintiffs and Personal Injury Litigation — Plaintiffs.” He has also been recognized as a Top 10 Pennsylvania Super Lawyer and Top 10 Philadelphia personal injury attorney. A leader in the Philadelphia legal community, Feldman served as Chancellor of the 13,000-member Philadelphia Bar Association and as President of the Philadelphia Trial Lawyers Association. He is certified as a Civil Trial Specialist by the National Board of Trial Advocacy.